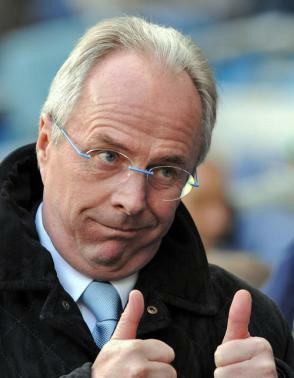 Following the shock dismissal of Sven Goran Eriksson from the Leicester City managerial job earlier this week, it has emerged that all of the names in the frame to take the hotseat are frankly utterly unrealistic and ludicrous from one end of the scale to another. On one end of the spectrum you have – following a Sky Sports interview with Mark McGhee regarding the vacancy where he declared an interest – amazingly unsuitable contenders. Aside from McGhee – hated in Leicester for leaving them for Wolves, then most recently sacked by Aberdeen for being the worst manager in Scotland and having a head like a potato – other names linked to the job have been Alan Shearer and his island of hair (one win as a manager in his entire career), Christian Gross, Steve McLaren and his umbrella, Marco Boogers and Ronny Rosenthal – the Israeli carthorse being given odds of 3-1 at present.